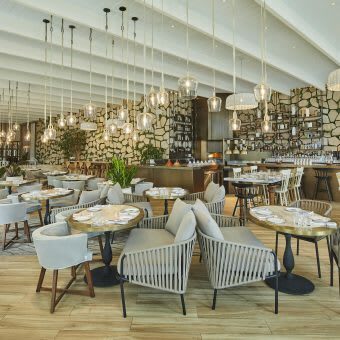 SLS Hotels takes its standards of style, luxury and service to an exotic new locale with SLS Baha Mar Hotel. 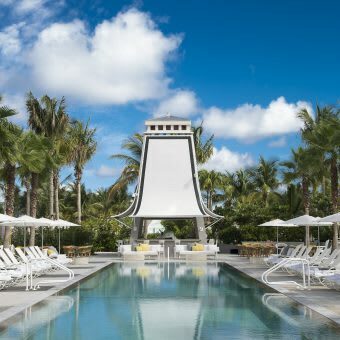 Combining a five-star hotel experience with elements of creativity and community, SLS Baha Mar will be an irresistible Bahamian retreat for the most discerning global traveler. Featuring 299 rooms, world-class décor, unforgettable dining and nightlife experiences, exclusive access to the sbe Collection and global concierge—this unprecedented destination awaits to amaze you. Cleo captures the vibrancy of Mediterranean-inspired cuisine, where new yet familiar flavors are enhanced by worldly charm. Bungalow Pool Bar & Grill’s scene offers a seductive environment of glamour and comfort. Enjoy the service of a dedicated pool concierge and valet while you indulge in signature cocktails and light fare. Whether soaking in the Bahamian sun or enjoying the energy of the lounge scene, pool goers can sip and enjoy Bungalow’s culinary delights. 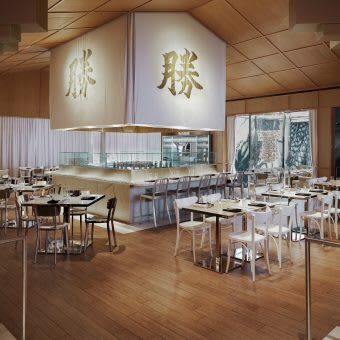 Chef Uechi skillfully evolves Japanese sushi and robata classics with inspired dishes including Crispy Rice with Spicy Tuna, Yellowtail Sashimi with Jalapeño and Miso-Marinated Black Cod in addition to Baha Mar exclusives – Conch Salad and Conch-oyaki. Katsuya’s award-winning mixology program includes signature cocktails like the Burning Mandarin with hand-crushed serrano chili and The Samurai with yuzu and ginger. 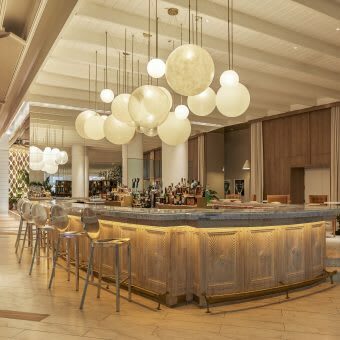 Our signature lobby bar at SLS Baha Mar is the ideal spot to transition from a day basking in the Bahamian sun to a relaxing lounge in a sophisticated indoor piazza. A luxurious nightclub located inside Baha Mar Hotel & Casino. The 10,000 square foot venue provides a lush interior, state of the art sound system and DJ booth for entertainment. 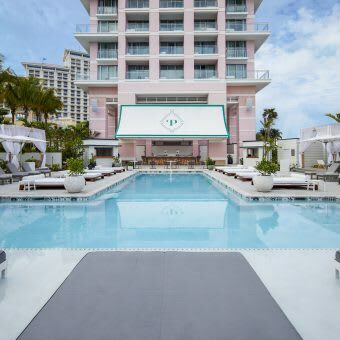 Upscale adults-only pool party and cabanas at SLS Baha Mar. A playful decadence of signature cocktails and light fare served by your own dedicated pool concierge. Rejuvenate under the Bahamian sun or catch the energy of the poolside lounge. The only Rooftop Bar & Lounge in the island of New Providence. Boasting some of the finest views in the Bahamas, Skybar is an open air, ivy covered pavilion perched above SLS Baha Mar. 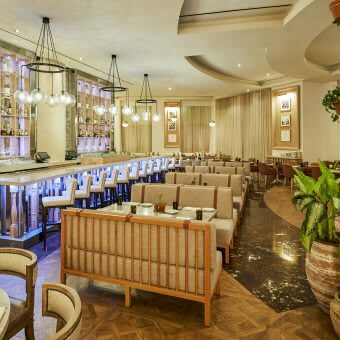 Our signature lobby bar at SLS Baha Mar is the ideal spot to transition from a day basking in the Bahamian sun to a evening relaxing in a sophisticated indoor piazza. A luxurious nightclub located inside Baha Mar Hotel & Casino. 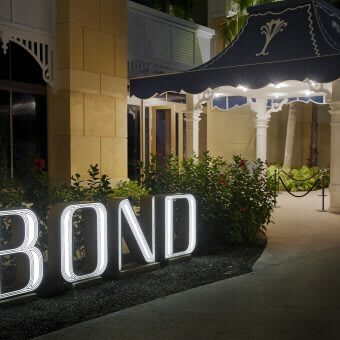 Bond provides an escape from everyday life and is ideal for unwinding or losing inhibitions. The 10,000 square foot venue provides a lush interior, state of the art sound system and DJ booth for entertainment. Guests can enjoy custom mixology, full service bars, or table side bottle services. The only Rooftop Bar & Lounge in the island of New Providence. Boasting some of the finest views in the Bahamas, Skybar is an open air, ivy covered pavilion perched above SLS Baha Mar. 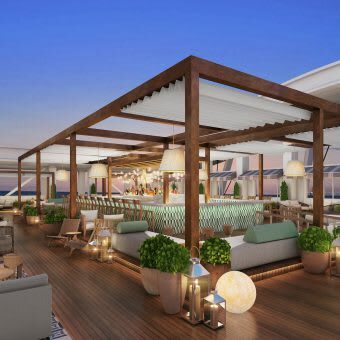 Skybar provides an idyllic oasis to take in the sun and enjoy impeccably fresh cocktails. When the sun sets on the island paradise, the pulse of Skybar beats even louder, stirring a seductive energy, aroused by world-class disk jockeys and the glamour of the new Riviera. 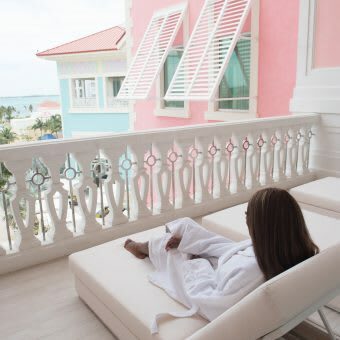 A place where unsurpassed luxury meets the Bahamian breeze. An 18-hole Jack Nicklaus Signature designed golf course, the Caribbean’s largest casino, a flagship ESPA spa, a variety of restaurants, lounges and luxury and fashion shopping experiences. With floor-to-ceiling windows that overlook the sparkling sea by day and dazzling fire and light spectacles by night, the Baha Mar Casino is like no other. 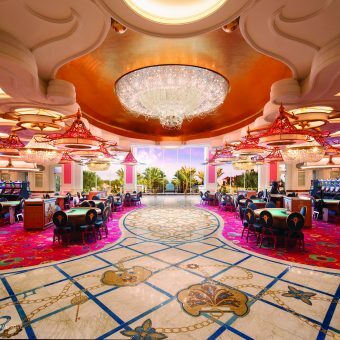 Designed for every level, from casual players to high stakes rollers, it is the Caribbean’s largest, most glamorous casino—perfectly combining high energy and sublime luxury. Guests can enjoy 3,000 feet of uninterrupted white-sand beachfront.